Before using OrbisGIS, you must ensure that you are running at least the JAVA 7 virtual machine (openJDK or Oracle). To download OrbisGIS, just consult the official website here. OrbisGIS is a standalone application. It means that, if you want (see Ubuntu PPA repository), no installation is needed. 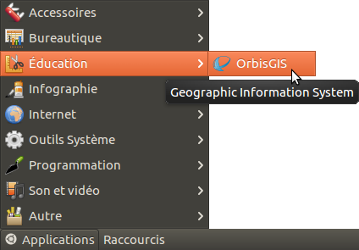 In addition, it also means that you can play with OrbisGIS without any “administrator” rule ! Once the orbisgis-bin.zip file downloaded, just unzip the file. orbisgis.jar : the application itself. Note that “Safemode” is only useful when OrbisGIS does not start successfully. Running this file will uninstall all plugins and former OrbisGIS modules. for Linux and iOS, double-click on the .sh file. “execution rights” are sometimes needed. If you want to specify the jvm memory size, please consult this page on the OrbisGIS wiki. ... and your file will be executable. © Copyright 2015, G. Petit & E. Bocher. Revision 92841115.